Lawrence & Associates > Blog > Bankruptcy > Why Might You Have To File a Chapter 11 Bankruptcy Rather Than a Chapter 13? Why Might You Have To File a Chapter 11 Bankruptcy Rather Than a Chapter 13? 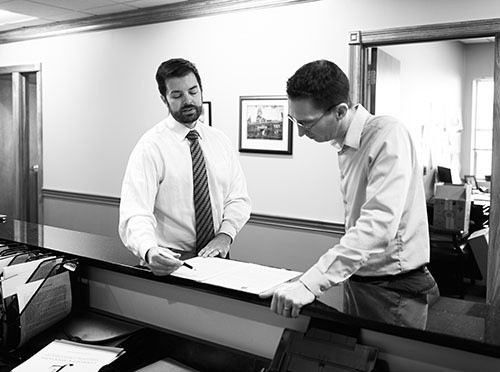 At Lawrence & Associates, we file Chapter 13 bankruptcies in Northern Kentucky and Cincinnati every day, but we rarely file Chapter 11 bankruptcies. The Chapter 11 system is vastly more complicated than the Chapter 13 system, although both bankruptcies are, at their hearts, reorganizations of debt. Creditors in a Chapter 11 get to vote on the reorganization plan proposed by the debtor, where creditors in a Chapter 13 do not, and Chapter 11s have far more procedural hurdles. Although Chapter 11 bankruptcies are generally considered big business bankruptcies, in reality some individuals are also forced to file Chapter 11 bankruptcies as well. When Does Your Unsecured Debt Force You To File Chapter 11? Unsecured debt includes credit card bills, medical bills, student loans, pay day loans, and many other categories of debt. As a rule, you can only file a Chapter 13 bankruptcy if your unsecured debts total less than $360,475.00 (as of the date of this writing). Student Loans become a major issue under this rule, as they can often total in the hundreds of thousands of dollars all by themselves. Unsecured debt alone can sometimes force an ordinary person to file in the same Chapter 11 system normally reserved for the likes of multi-national corporations. To avoid this trap, talk to an attorney. Consider taking out a loan on any equity in your home or car, and using that secured loan to pay down unsecured student loans. (Bear in mind that, if you take out a debt in the process of filing bankruptcy, you will absolutely be required to pay the full amount of the new secured debt, at its regular interest rate, regardless of what bankruptcy you file.) This can be a wise decision because student loans are usually non-dischargeable, meaning you can’t get rid of them in bankruptcy. Since you’ll have made part of your unsecured debt secured in this process, you may be able to stay in a Chapter 13 bankruptcy if you managed to pay your unsecured debts to less than $383,175.00. Again, talk to an attorney before taking any action so there are no unforeseen issues in bankruptcy. When Does Your Secured Debt Force You To File Chapter 11? Secured debts typically take the form of mortgages, car loans, judicial liens or other debts taken out at the time something is purchased for the purpose of paying for the item. The secured debt limit for a Chapter 13 bankruptcy is $1,149,525.00; any higher, and you will have to file a Chapter 11 bankruptcy. If you are looking to reduce secured debts in order to fit into a Chapter 13 bankruptcy, one of the only ways to do so is to give up property secured by a debt. Upon doing so, the debt will become unsecured and no longer count toward this total. If You Have Questions, Call Lawrence & Associates! Lawrence & Associates has helped many clients file Chapter 13 bankruptcy, and we’d be happy to help you. We are Working Hard for the Working Class, and we want to work for you! Give us a call for your free consultation, today!